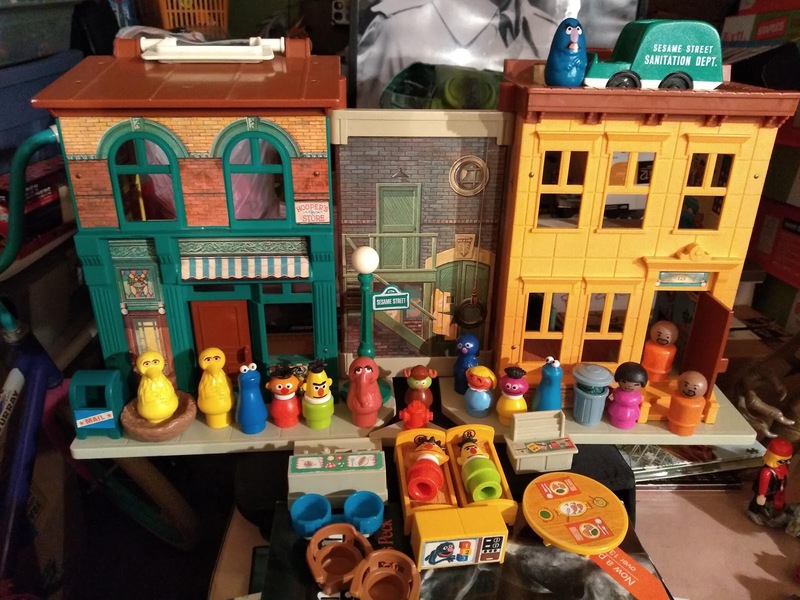 I scored so incredibly big time last weekend at the flea market, coming home with all the Sesame Street Fisher-Price Little People stuff you see here for ten bucks! I've long wanted not only this playset (having never owned it as a kid...I had the non-canon Sesame Street clubhouse which I only learned in adulthood was a repainted western saloon which makes waaay more sense!) but also hard to find characters like Snuffleupagus and Herry Monster. 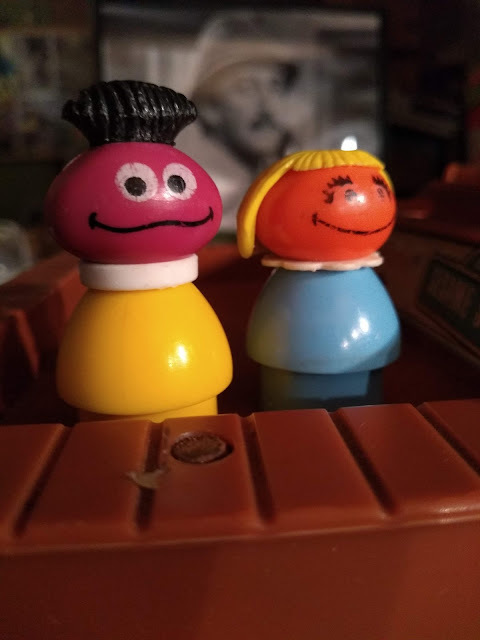 I love Fisher-Price Little People but I reeeallyy loooove Fisher-Price Little People Sesame Street characters. They're so wonderfully toyetic and charming. In getting this deal I scored better than I ever could have dreamed. Not only are Herry and Snuffy in mint condition, but I got two Cookie Monster figures, two Big Bird figures, two each of Bert and Ernie, Susan, Gordon (one is a bit beat up sadly), Oscar the Grouch, Roosevelt Franklin, and passable but play worn examples of Prairie Dawn, Grover, and Sherlock Hemlock. Not to mention a lot of accessories including key pieces like the light post, Big Bird's nest, and Bert and Ernie's beds! Roosevelt is in pretty good shape, Prairie's paint is pretty faded. Two different Cookie Monster variations. 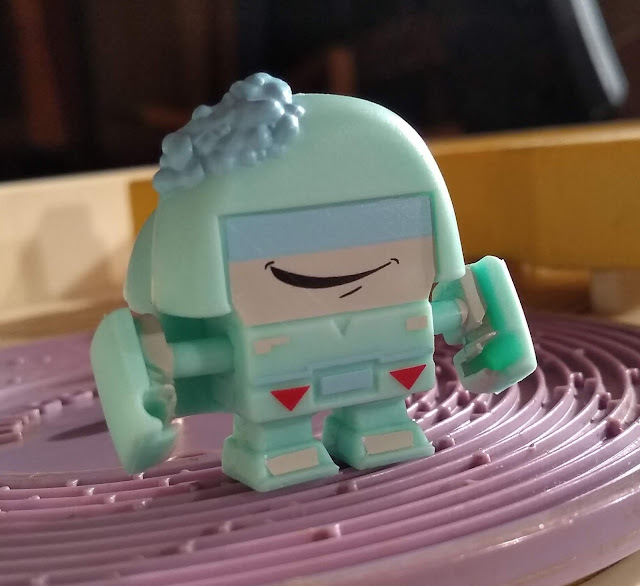 Right is more aqua in color, and his eyes are part of the molded whole and painted, whereas left Cookie's eyes are a separately attached piece. 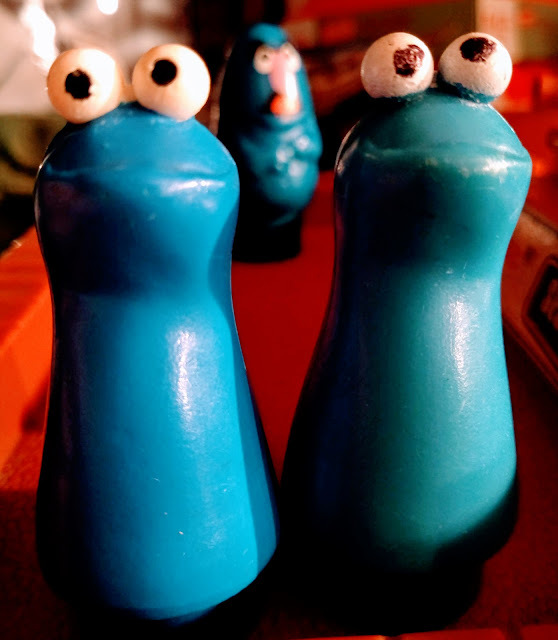 Anyone know anything about Cookie Monster Little People variants? I still can't believe my luck in getting not only this set but so many great characters and accessories too, and all for so cheap! 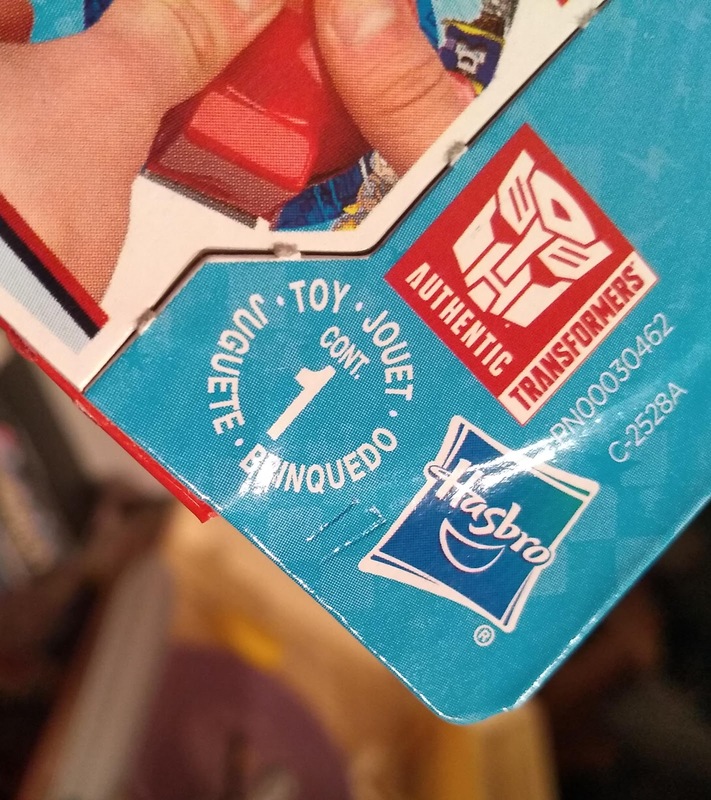 Ok first things first, HaSBrO...this is NOT Cliffjumper! You gotta stop painting Bumblebee red and calling him Cliffjumper! STOP IT, STOP IT RIGHT NOW! 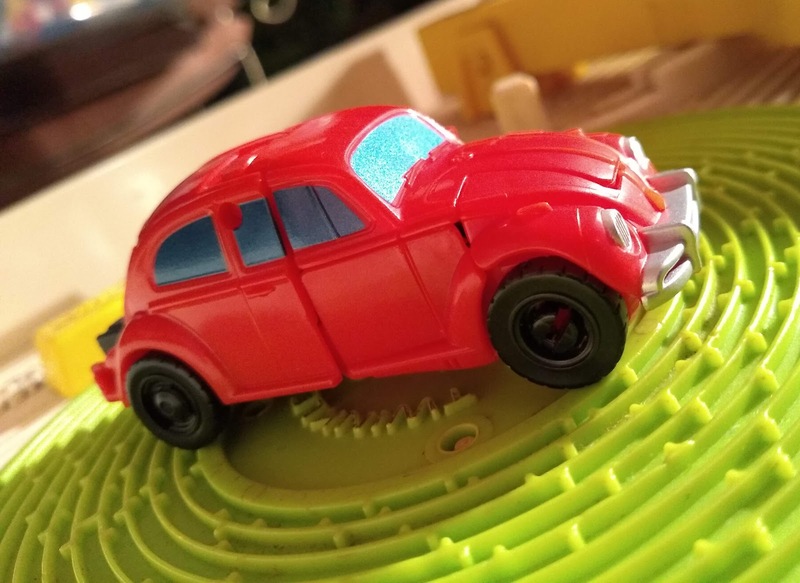 Cliffjumper was a Porsche voiced by the LEGENDARY Casey Kasem. 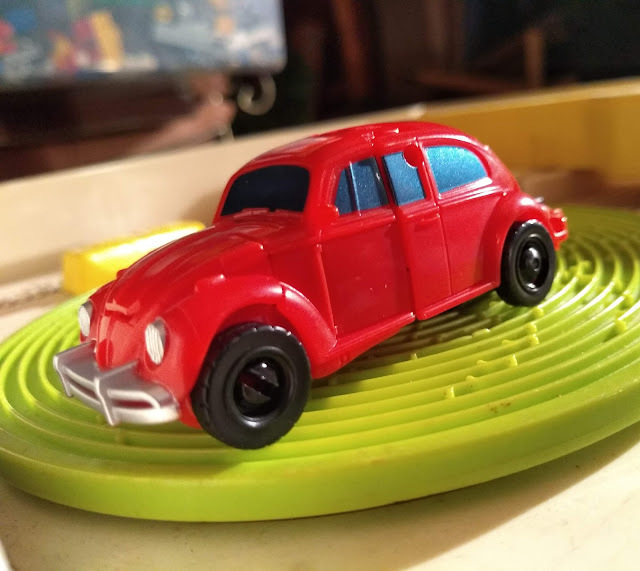 Not a red rattle-canned Beetle! You might as well paint Bumblebee orange and call him Huffer or paint him blue and call him Seaspray! 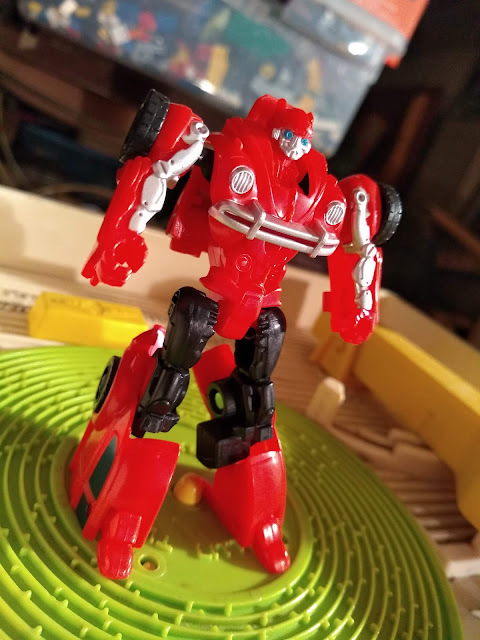 That said, this Bumblebee Movie Energon Igniters "Cliffjumper" IS a red Bumblebee, which is a cool nod to the G1 red Bumblebee who, in the days before the internet, held a bit of a legendary status. Like Bigfoot, few had seen it in person, but someone always claimed they knew someone who had one! 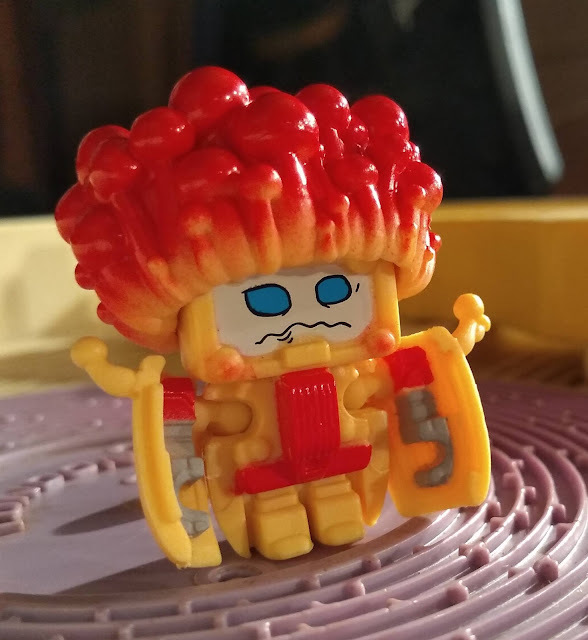 I think this guy is part of the second wave of Energon Igniters, but to be honest I haven't paid much attention to them. 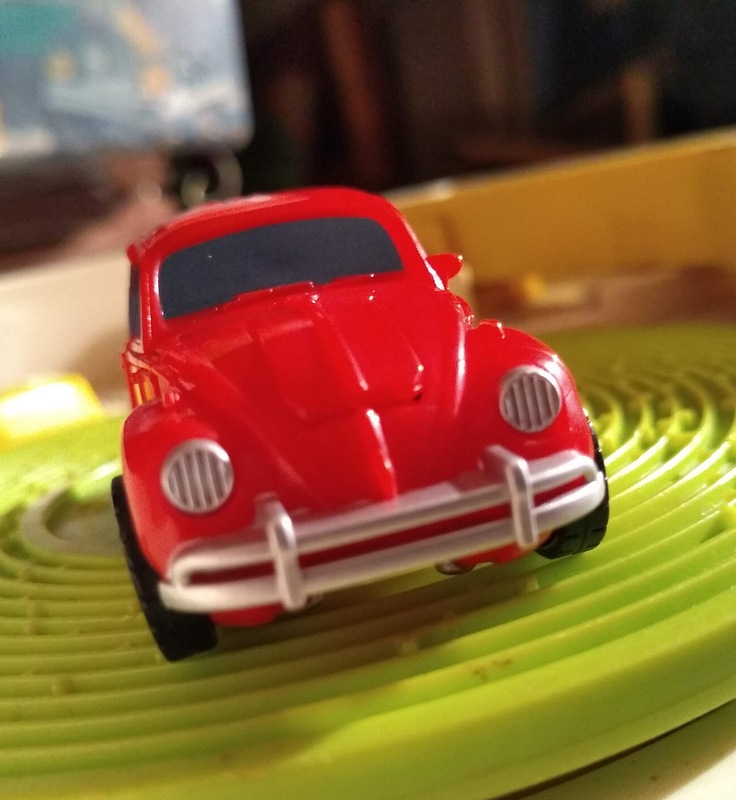 I did see and love the Bumblebee movie (don't get me started on Cliffjumper's treatment THERE either!) 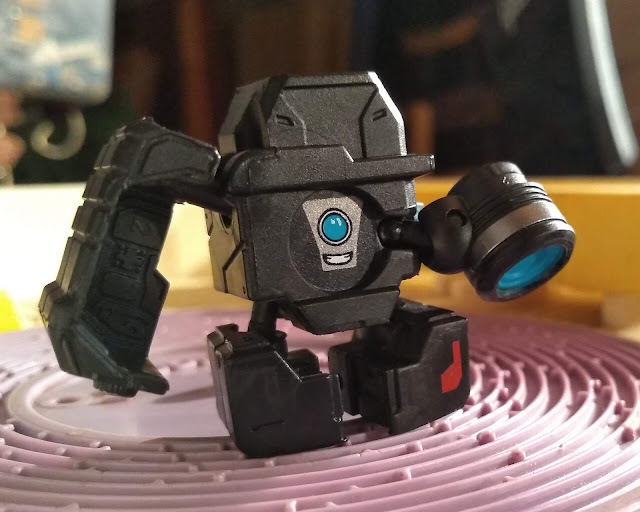 and I do like this simple cute and inexpensive Transformer. 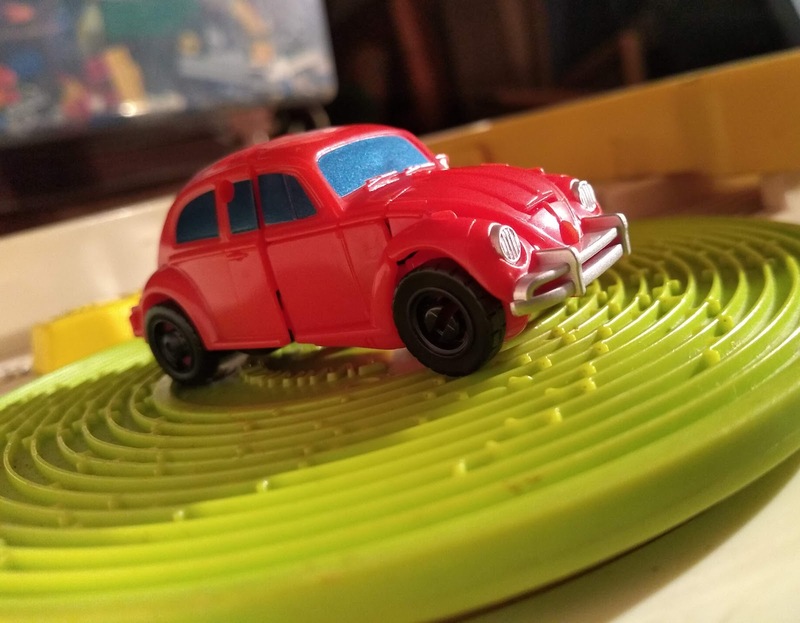 He has a really nice VW Beetle vehicle mode for this level of Transformer as well. 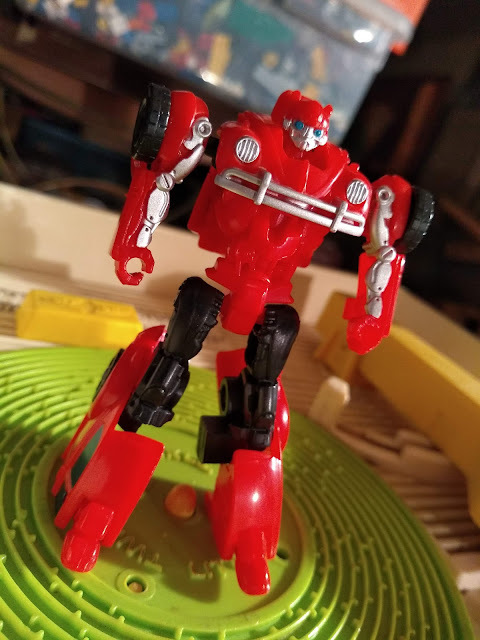 I was tempted to get this basic Bumblebee in yellow and might now go back for him now that I have him in red. I didn't even know this variant was coming/out there until I spotted him hanging on the toy aisle pegs at Target. 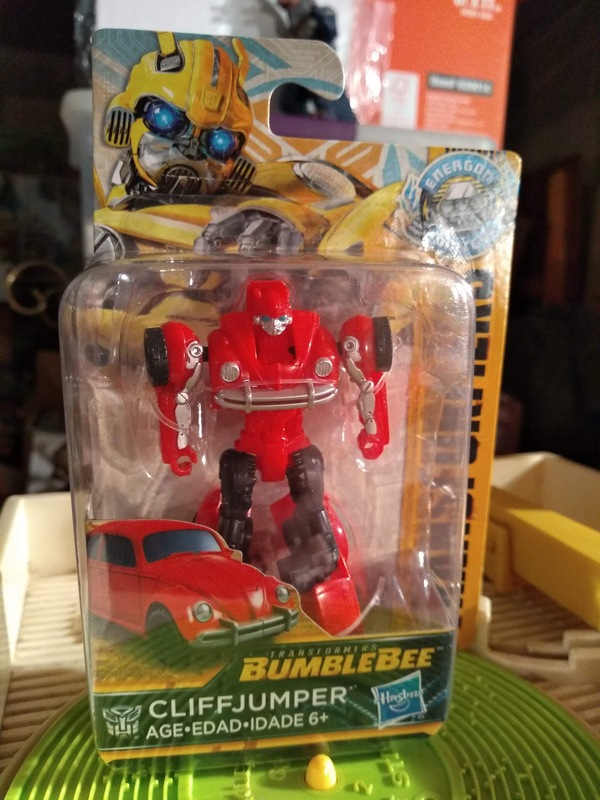 Bumblebee in red. 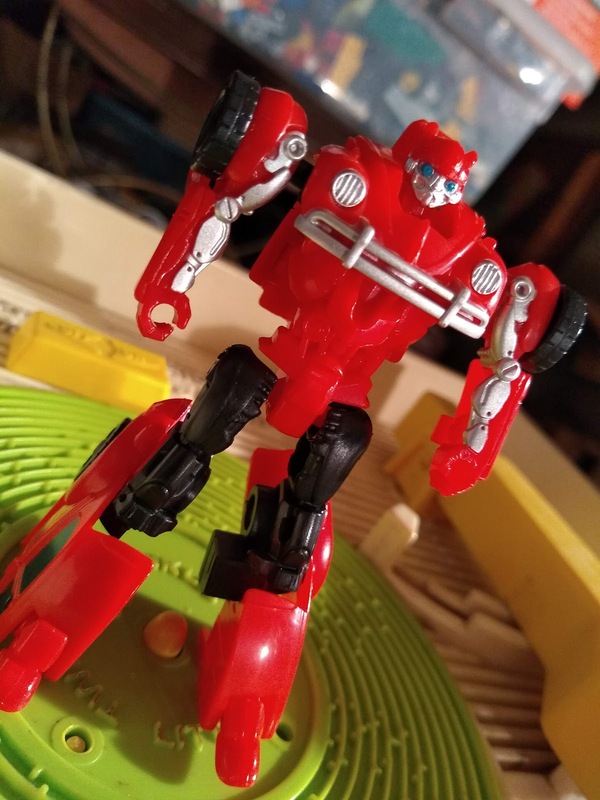 NOT Cliffjumper! Just a few easy steps to get Bumblebee from bot to vehicle and back again. I like this basic level Transformer, one you can slip into your pocket and sneak into school where toys aren't allowed. At least that's what I used to do when I was in school. Now I sneak them into work but no one cares. 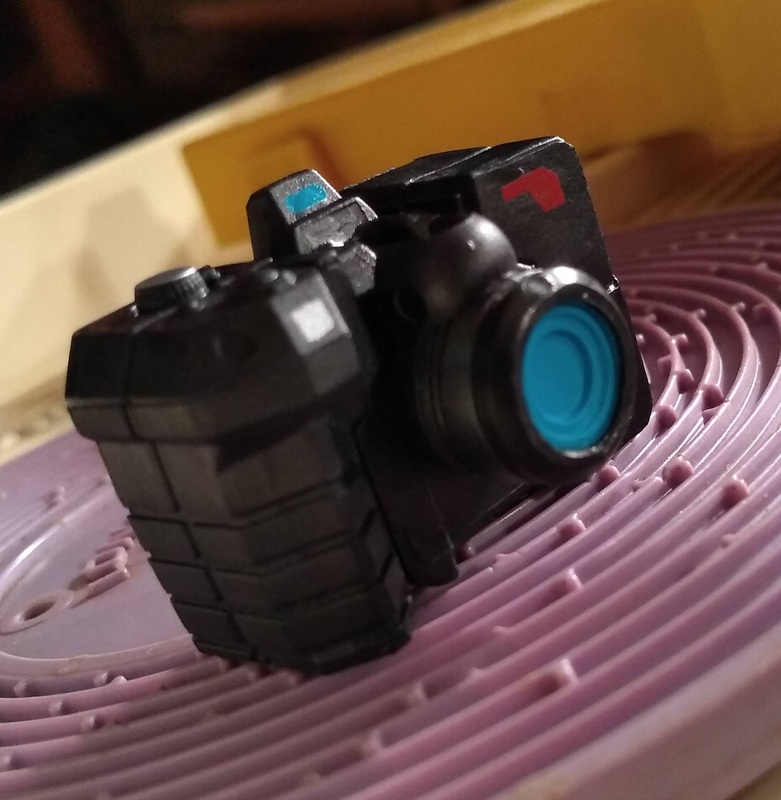 The Energon Igniters gimmick is similar to the old "Key cars", apparently you can get a trigger of some sort with another higher price-point bot (Sold Seperately!) and shoot them across the floor. I would have preferred a cleaner rear bumper without the gimmick but I suppose it could look worse. 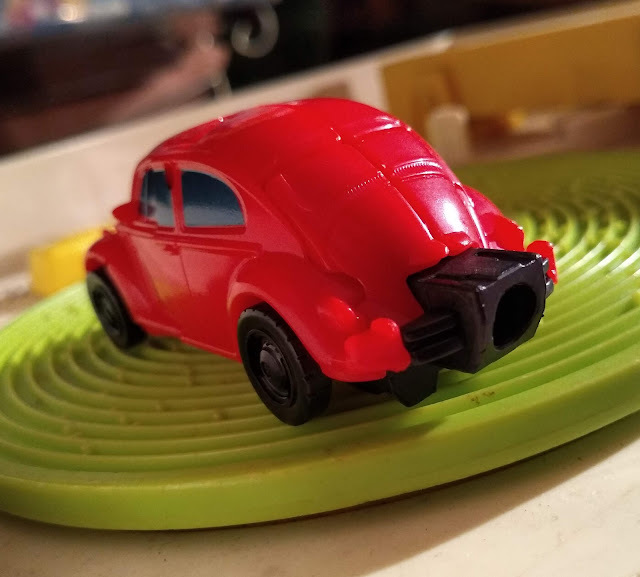 I'll just pretend he has a cooler full of beer strapped to the rear bumper and is off to drink his sorrows away for being a repainted Bumblebee and not a badass Porsche that sounds like Shaggy Rogers hosting the weekly Top 40. 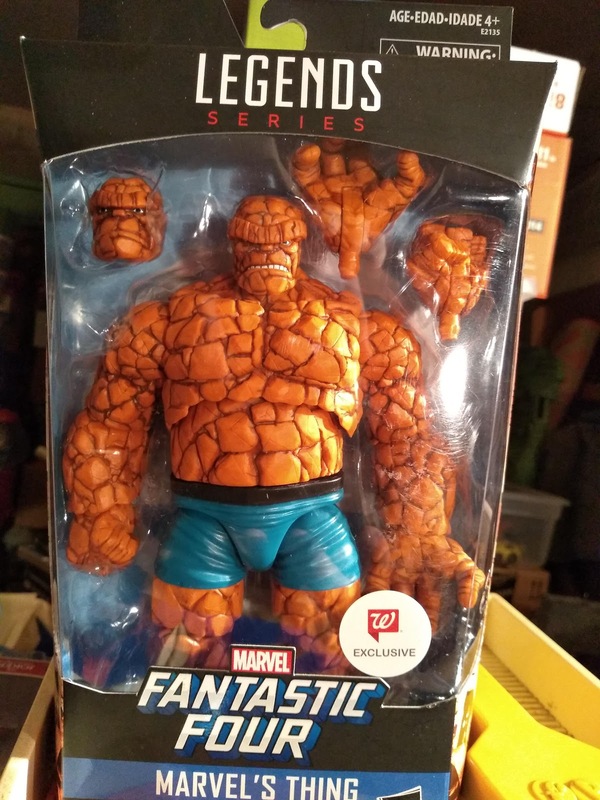 Walgreens has been releasing exclusive Fantastic Four Marvel Legends figures for a couple years now. Mr. Fantastic, Invisible Woman, The Human Torch, and even Silver Surfer have all been released at Walgreens while Marvel comics themselves have ignored the first family of superheroes. 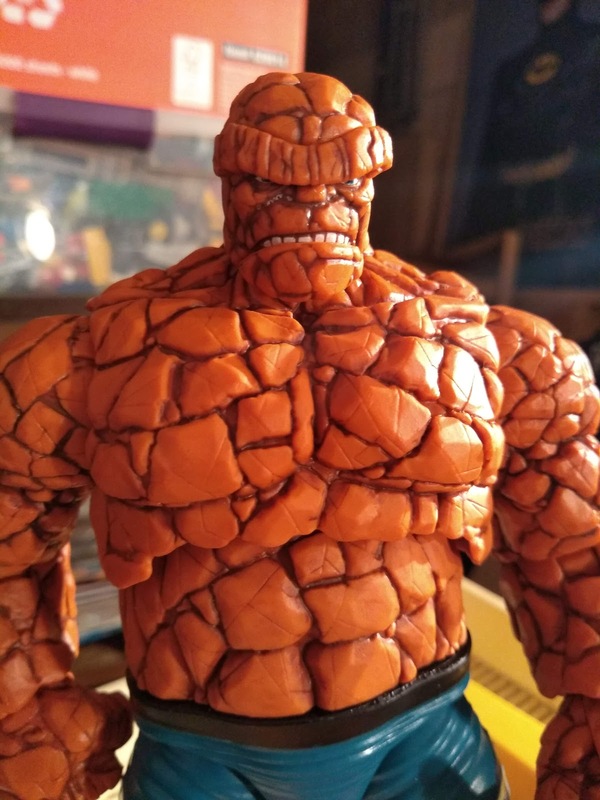 I'm only a casual Marvel Legends and Fantastic Four fan, so I didn't bother picking any of them up. I honestly figured they'd never complete the team anyways, so what's the point? Well, they did complete the team, and they saved the best for last! Had they lead with Thing, I'd probably have bought them all! I've always had a fondness for The Thing, even without his FF teammates. I loved his solo cartoon back when I was a wee lad, as ridiculous as it is now. I loved reading comics with him in them, I was always of the camp that Thing could beat Hulk. 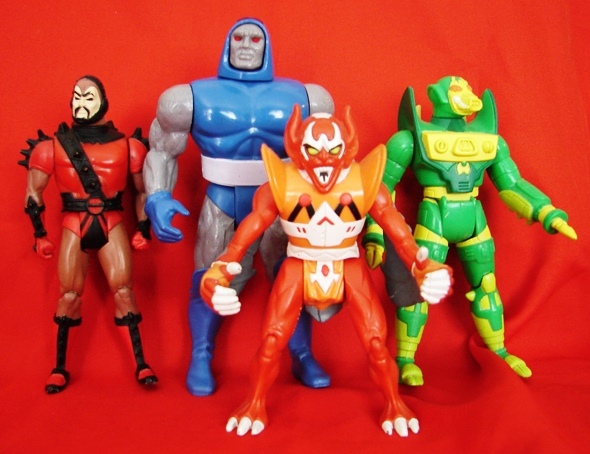 And I used to have the first Marvel Legends Thing from Toybiz, (I remember being so excited finding that one!) 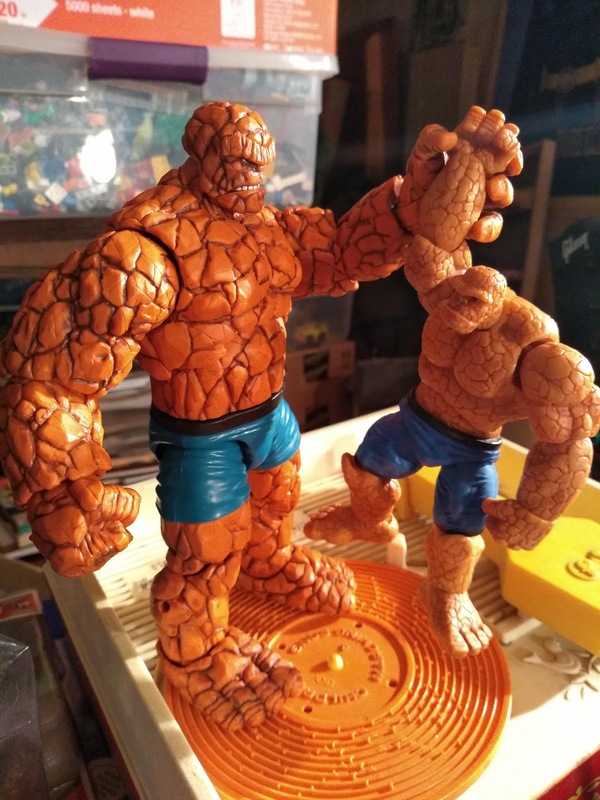 as well as a couple Michael Chiklis Thing figures after the movie came out. But I gave them up years ago. They were ok action figures, but they're nothing compared to this new release. 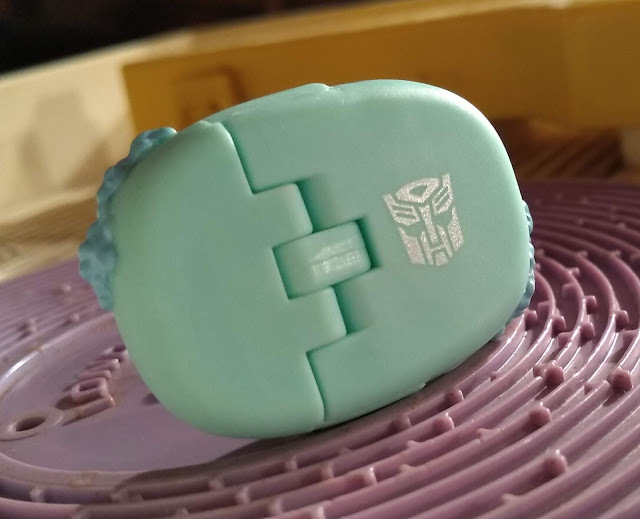 I do still have the smaller scale Hasbro Thing from a few years back, who is cute but also pales in comparison. 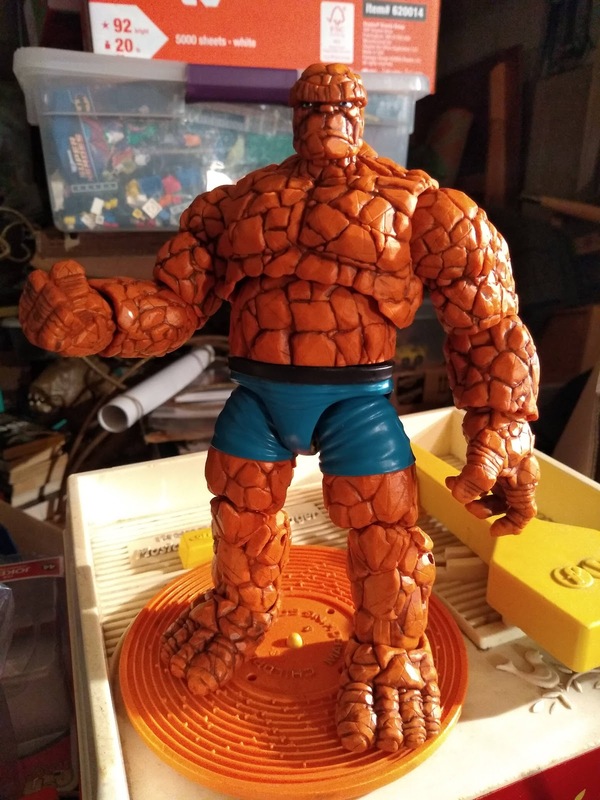 This newest version of Thing comes with an alternate head and open/closed hands. Thing has been thus far a bit difficult to find as there are a lot of collectors wanting him to complete their FF team, as well as casual collectors who just love a big massive orange rock of a lug. Ben Grimm is a massive solid figure and a gem in any superhero action figure collection. If you see him grab him! This guy is so great, such a gorgeous and detailed sculpt! In all my toy travels, I've only seen him once and of course here he is. Now I just need to decide if I'm going to backtrack and try to collect his fellow Four. But even if I don't, no regrets! 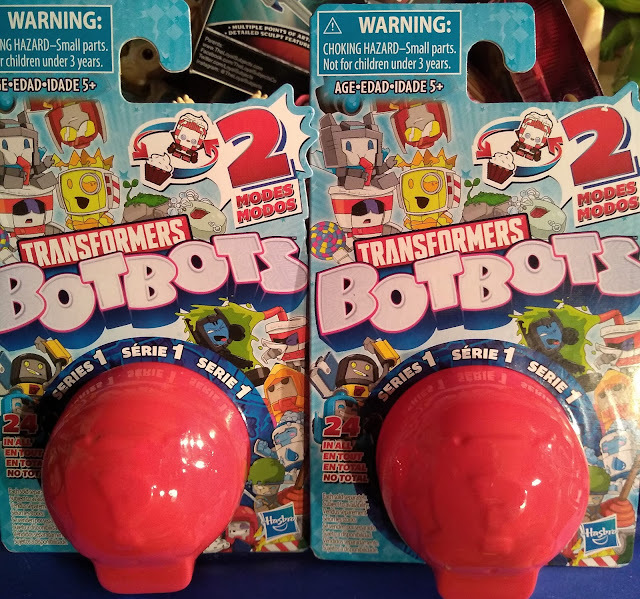 Transformers BotBots Series 1 :: NOW WITH CODES! 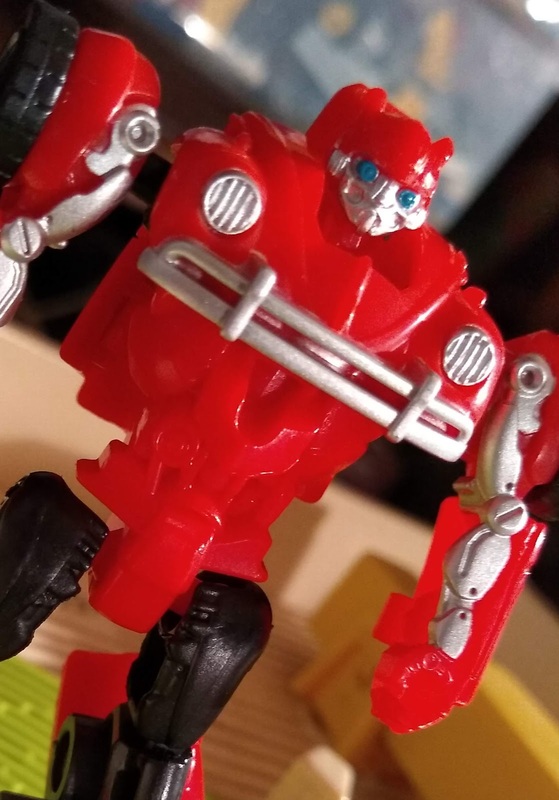 I found the new Transformers BotBots blind boxed individual figures at Target the other day and decided to take a chance on a few to see what they are like. Their names are all pretty corny too, but S.A. Cheez looks great in both modes. I also got Fun Gus. Yeah. 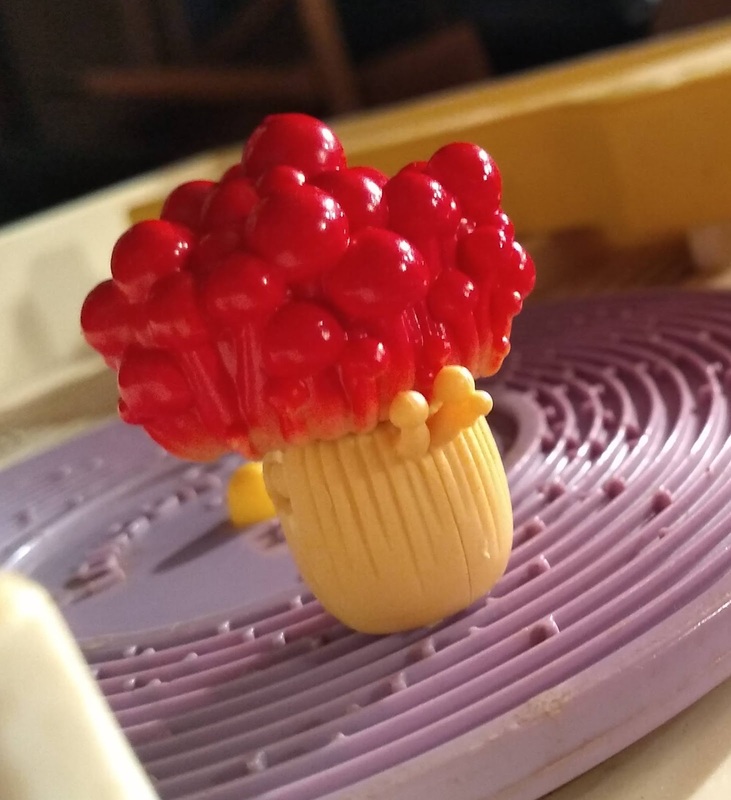 So he's a fungus apparently. 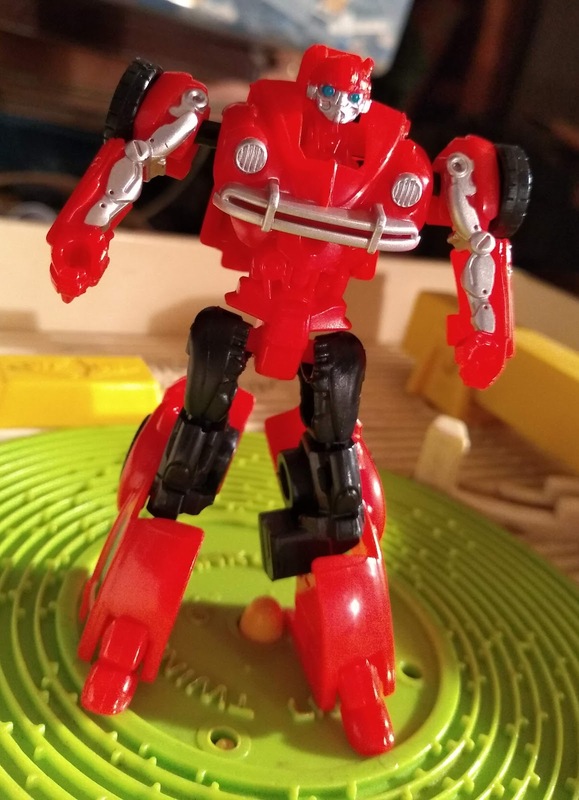 Fun Gus's robot mode is kinda cute though. He's part of the Shed Heads faction, which includes plants and power tools. And useless fungi. Fomo is a GoPro and also part of the Techie Team. But he's pretty boring looking in both modes. They do all have pretty sturdy builds and don't feel terribly cheap, so that's a plus. 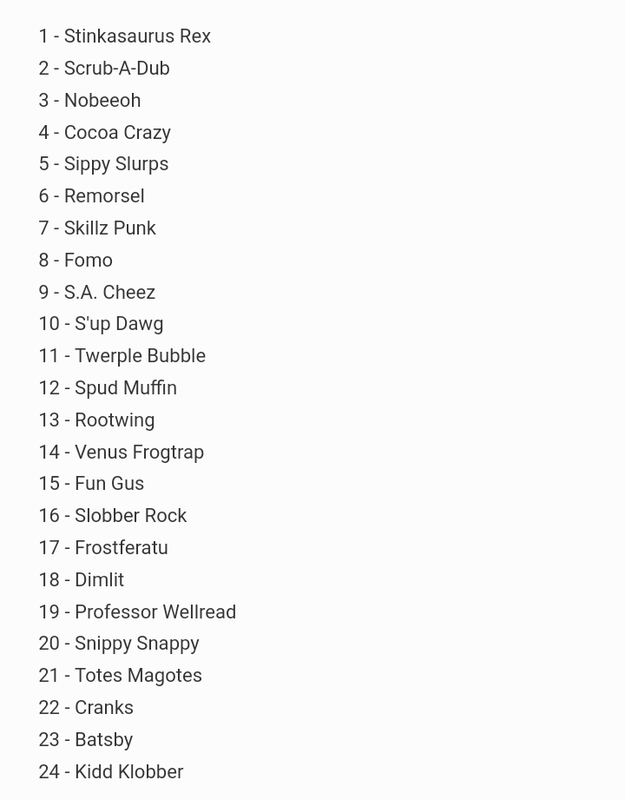 Last of my first four is Sergeant Scrubadub. He's a bar of soap. With an Autobot symbol! He's actually the only one I have with any symbol, and it's interesting they didn't put the Toilet Troop faction symbol on him. Yeah, Toilet Troop. Welcome to 2019. 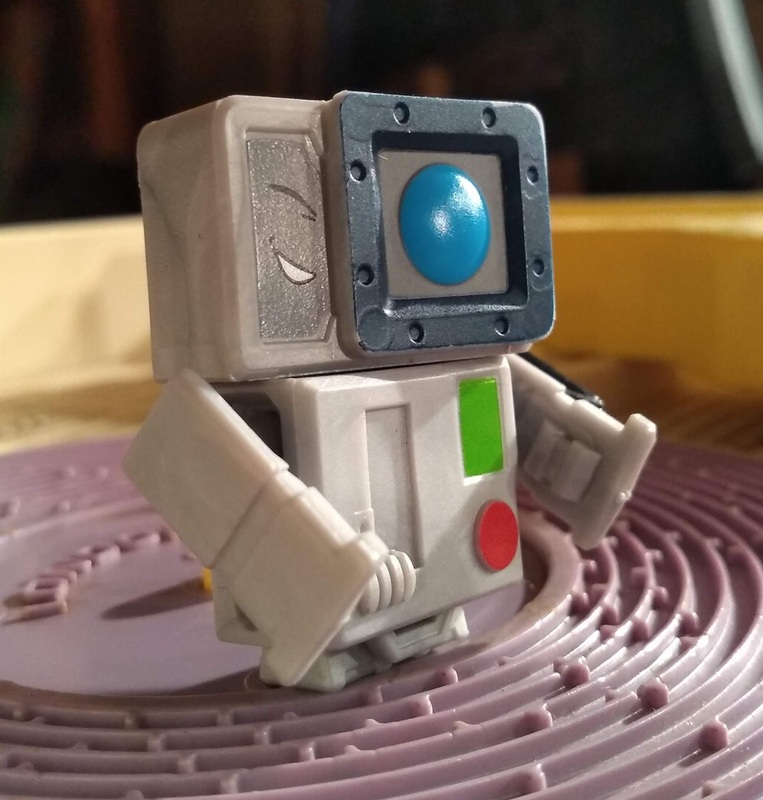 As much as I want to hate on a bar of soap that transforms into a robot, I actually kind of love this guy. He has a great robot mode which makes up for his alt mode being a sudsy bar of soap. Also he's a Sgt. He's a soldier. And a bar of soap. HE'S SEEN THINGS! These single packs are $2.99 each at Target, and there are 61 to collect in Series 1. They're fun and ridiculous, if you have three bucks to throw away you could do far worse. 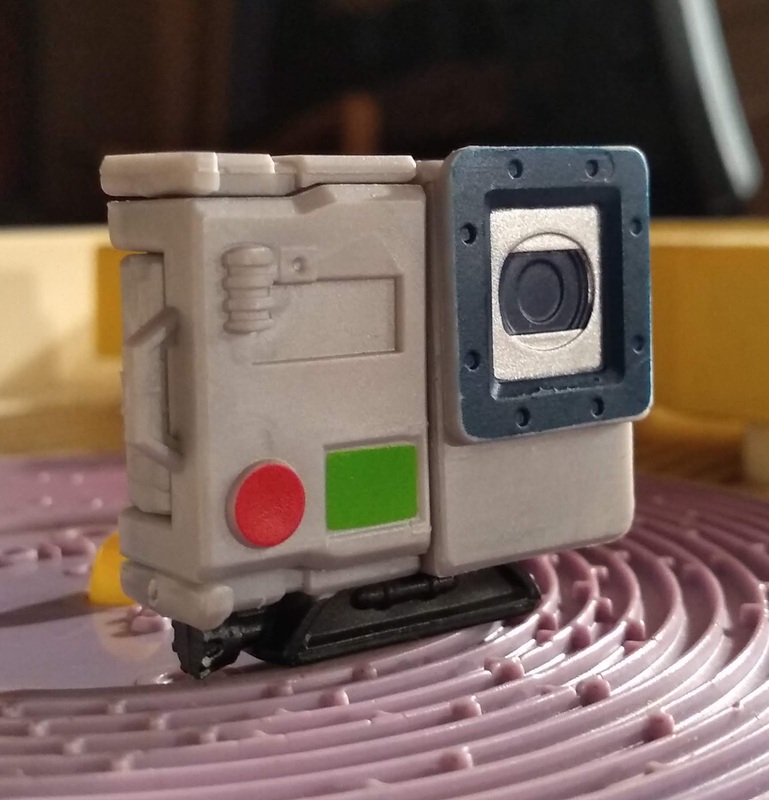 UPDATE: Codes have been identified and were posted over at Seibertron.com (pic below) and I can confirm they work as I picked up a couple more using the code list and they were all the figure I expected to get! Codes are either printed or hand written (?!) 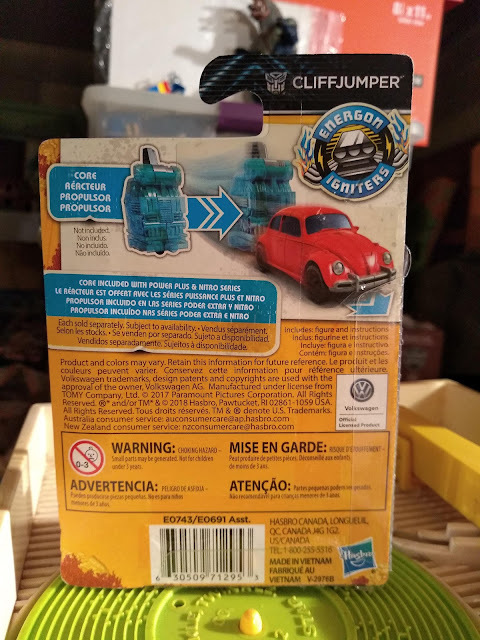 on the lower right corner on the back of each pack as seen (17, which indeed contained Frostferatu) below. I Have The Pow... I Mean Wonderbread He-Man!!!!!!!!! Playmobil Fi?ures Series 10 and 11 Revealed and...izzat you, Harley Quinn?!?!?! League Post :: A Real American ZERO! 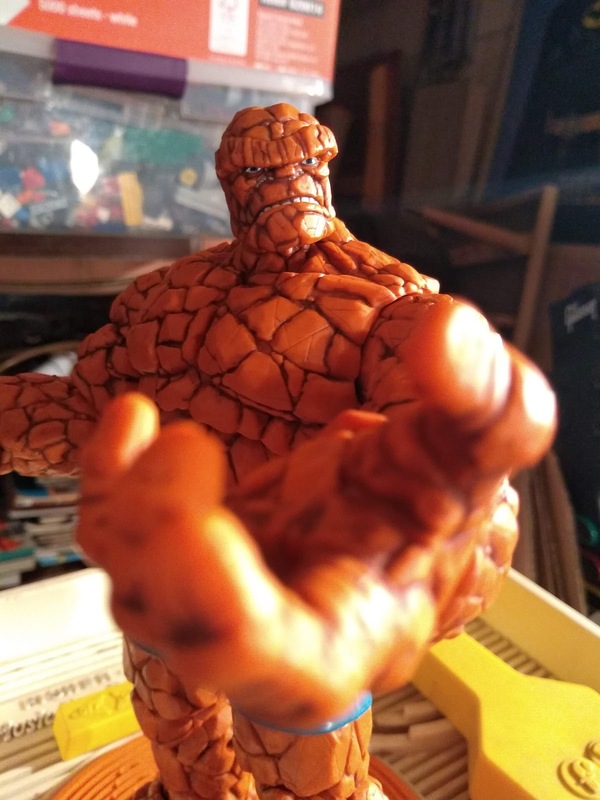 Toyriffic is a blog about toy collecting (both old and new,) geek ephemera, movies, comic books, cartoons etc. etc. Basically, whatever gets my flag waiving. Also, a lot of Batman.